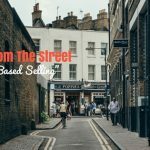 Home » TSE Podcast Post Page » TSE 656: You Need a Better Sales Process! 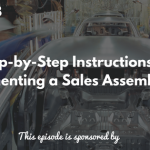 Sales process – this is something that new and struggling sellers have. 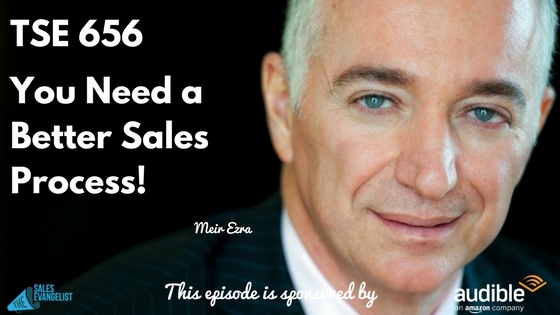 Today’s guest is Meir Ezra and he shares with us why you too need to have an effective sales process in place and how to actually do that. Meir runs different businesses around the globe. Back in Israel, he has taught companies how to become successful. Then he started in North America five years ago, teaching people how to really make it. Each step has to have an exact end phenomena. What you should be looking for is the end result of each step and not the step. Understand what you really need to achieve in each step, then figure you what you need to do. End result: The person trusts you and is willing to talk to you. One indicator that a person trusts you is when the person will initiate a subject without you probing. The client may have had problems with salespeople before or with your company or a similar company or product. Find out what the person thinks about salespeople and the subject you’re handling. Find the problem and agitate it. Find out the person’s “ruin,” and once you’ve found the problem, make it bigger. Make the person understand that you possess the solution for their problem. Create the mystery. You don’t really tell a customer the in’s and out’s of your product in order to create mystery. And that mystery is your glue between you and the product. Present the agreement, sign, and pay. After the purchase, in 80% of the cases, there will be questions, resistance, disagreements, etc. So be ready to handle that resistance. *The reason people don’t close is they skip one of the steps either by not completing them or by not doing them at all. You have to be able to measure each step. In contacting the person, there are a number of agreements you need to count. How many things did they agree with you on? When you find the ruin, measure if you have the ruin or not. Acknowledge. Listen patiently and fully understand. Ask as many questions as you can. Make the person right. When you do this, they have nothing else to push against. Wait. The moment they have nothing to fight about, do nothing. Then wait for them to say something. Restore the agreement. Tie it back into the real reason the client wants to buy and restore the agreement. Do the sales sequence. Look at the end result of each of those steps. The salesperson that doesn’t close at least 90% of the qualified prospects is not a salesperson. Connect with Meir through email at meir@meirezra.com.